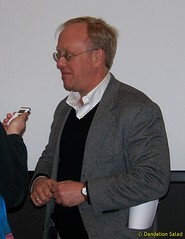 Editor’s Note: On Tuesday night, Chris Hedges and Sam Harris debated “Religion, Politics and the End of the World.” The following is Hedges’ opening statement, in which he argues that Harris and other critics of faith have mistakenly blamed religion for the ills of the world, when the true danger lies in the human heart and its capacity for evil. We will post Sam Harris’ statement and a recording of the debate soon. Sam Harris has conflated faith with tribalism. His book is an attack not on faith but on a system of being and believing that is dangerous and incompatible with the open society. He attacks superstition, a belief in magic and the childish notion of an anthropomorphic God that is characteristic of the tribe, of the closed society. He calls this religion. I do not. New conversation topics in the comment section. Check them out. 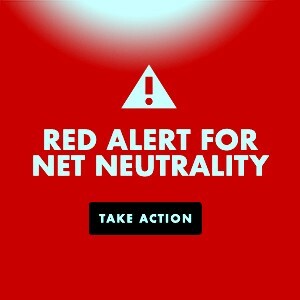 The comments are closed on this repost so please add to the discussion on the original post. Thanks! That was the heading on the leaflet distributed at the Iper Coop in Rome, Italy on July 9, 2010, marking the fifth anniversary of the launch campaign for boycott, divestment and sanctions (BDS) against Israel. 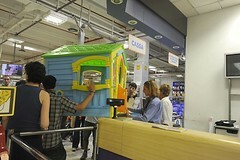 While the systematic demolition of Palestinian homes by Israel continues, the Italian hypermarket instead sells colorful and cheerful plastic toy houses, in addition to children’s chairs, tables and slides, produced by the Israeli company Keter and marketed in Italy by Giochi Preziosi and Grand Soleil. News features appearing within two days of each other highlight tensions between the United States and the People’s Republic of China that, at least in relation to the language used to describe them, would have seemed unimaginable even a few months ago and are evocative more of the Korean War era than of any time since the entente cordiale initiated by the Richard Nixon-Mao Zedong meeting in Beijing in 1972. I haven’t been writing for quite some time. It gets to the point as Paul Craig Roberts said; “Nobody is listening”. There are some that are listening as my articles have received many hits. While I’m happy about that, it just isn’t enough. The people that read my articles are the people that already know what dire straits our Democracy in America is in. Most of my readers know that the legislative branch, the executive branch and now it seems the Supreme court as well as the lower federal courts have been co-opted by those that have the money and clout to do so. I read a brilliant article by Lawrence Wilkerson (Right Wing Thought Police MWC News) that blew me away. It’s not what he said; it was what he didn’t say that completely blew me away. Let me write a short list of what Americans should be concerned about.